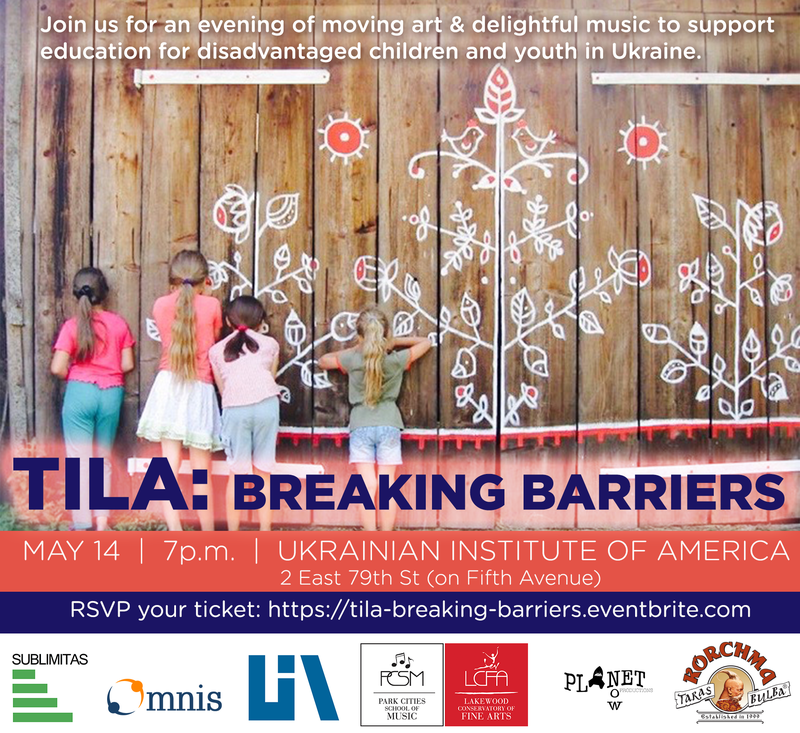 Ukrainain Institute of America, Sublimitas, and Omnis Foundation cordially invite you to an evening of art & music to support education for disadvantaged children and youth in Ukraine. Please join us to learn more about the Education Breaks Barriers (EBB) project and discover a moving exhibit of art painted by war-displaced children from Ukraine. Enjoy a glass of wine and delightful music performed by the Lakewood Conservatory of Fine Arts at the Ukrainian Institute of America! Ticket proceeds will benefit the EBB project. Event co-sponsors: Lakewood Conservatory of Fine Arts, Planet Now and Korchma Taras Bulba.